A feminine child theme for Divi with Blog and WooCommerce integration and 7 homepage layouts. Divi Girl is a child theme for Divi with a feminine touch. 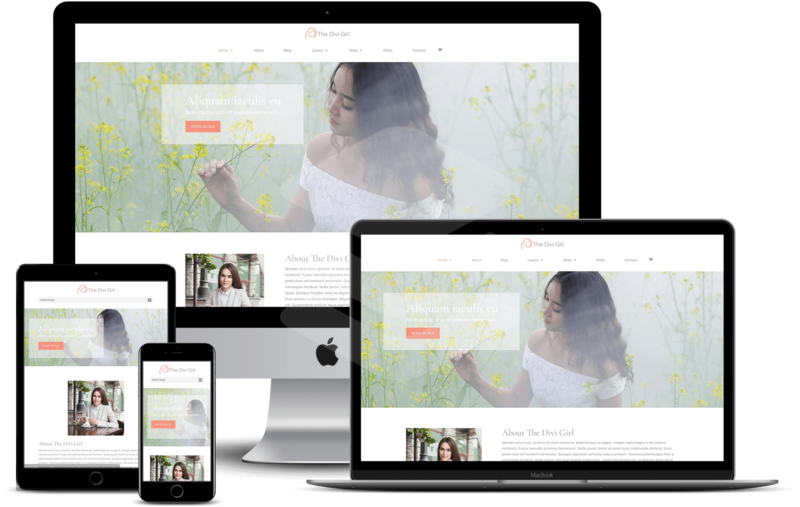 It can be used by female bloggers to create Divi theme based blog, basic e-commerce store based on WooCommerce plugin for selling digital or physical goods or creating a standard website. Already purchased the Divi Girl and need assistance with it? We have some frequently asked questions available listed for this. You can also send us an email using the support link.